Sitelok is designed to easily add free or paid membership areas to your website. Developed to fit into your existing web design without using themes. Sitelok is a flexible PHP & MySQL based script, enabling you to secure pages on your website for access to members only. Multiple user groups allow you to completely control who has access to each page & for how long. You can even allow visitor access to pages while making parts of the page visible only to logged in members. Users can register for free or pay for access using Paypal or Stripe. Everything added to your site, such as login or registration forms, can be styled to match perfectly. Cons: I can't think of a single con. I never had a problem that could not be fixed with email support. Overall: I sell software online and it needs to be activated to protect it from piracy. Most developers rely on one of the major software activation websites, or the Microsoft or Apple Store to deal with sales and activation. But I have a limited market and don't sell all that many programs a year, not enough to justify the monthly payments or commissions for a sales processing and activating service,so I did it myself, manually, for several years. Every sale needed instant email response and that tied me to my computer and the need to be somewhere with an internet connection every day. Then I found Vibralogix. It was the perfect solution and best of all it was inexpensive and did not take a lot of time to set up. Within a week my entire sales and activation process was completely 100% automated. A customer can click on a Paypal buy button to order a download or DVD, and Sitelok with the PayPal plugin catches the sale information, sends my thank you email to the buyer with download links, sends the DVD order with address to Kunaki, and when the user activates my software Sitelok assures the user has the right to activate it, registers the computer hardware number and the activation key with that user. Sitelok also handles second licenses, updates, and can resend user order information. All this with one up front small purchase price garnished with brilliant friendly email support. Sitelok Set me Free. Pros: Sitelok is an extremely versatile platform for developing members-only or restricted access pages and websites. My primary use case for Sitelok is locking-down CMS pages. As a web developer building with RapidWeaver, I am able to utilize Joe Worman's powerful Total CMS for content management and manage access with Sitelok which ensures robust security and user management for website backends. Because Sitelok is well-developed, I am able to publish it to my web servers and have it fully-functional in mere minutes. Ease of implementation and use is surely Sitelok's greatest attribute. Cons: There are areas of Sitelok's admin pages that I feel could be refined. For example, Sitelok allows you to utilize custom data fields, but 10 of them are visible out of the box. It might be nice to have an option to add them ad hoc. I have to stress that this is a minor complaint and does not take away from Sitelok's well-developed platform. I would also like to see better-designed standard login pages. The default pages look a bit dated with their bold gradients and strong shadows-so I don't use them. Using an external library such as Bootstrap or Foundation for stylizing these forms would address this. Like my previous complaint, form styles do not detract from the core functionality of Sitelok-they just visually date it. Overall: Sitelok is a powerful, easy to use platform for developing members-only or restricted access. It can be implemented with virtually any site type, and it is right at home with development tools like RapidWeaver. With a library of powerful plugins, it is possible to connect Sitelok with other great platforms such as Stripe for robust payment processing, MailChimp for powerful email marketing and SendGrid for reliable transactional emails. Choose Sitelok for headache-free development! Pros: Sitelok is designed to easily integrate with any other script. It's focus is for developers and site owners who enjoy total control of their user experience, and need to break out of the limitations of deployment provided by even advanced membership scripts and plugins. While it requires some understanding of PHP to deploy to its full advantage, Sitelok comes with a well thought out API that speeds up integration, allowing site owners and developers to create any type of member site they wish. Cons: You need to be able to be willing to work with simple PHP and HTML. Having said that, integrating Sitelok is very easy - two lines of code at the top of a PHP file, and your page is protected. The rest is up to your imagination. Overall: I personally selected Sitelok from a range of competitive scripts offering similar functions, and have continued to choose Sitelok over the past 5 years or more. This should indicate the trust I place in the script, and convenience it offers. I am a developer who likes to deliver my clients unique websites that fit their needs as closely as possible, and Sitelok is unique in that it allows me to create highly bespoke membership website sections that can perform in totally different ways. 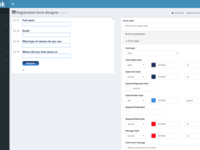 While Sitelok provides in-built registration forms and so forth, the API allows you to extend and adapt these and other standard membership pages - and more! Other Vibralogix scripts such as Linklok are also highly recommended when obfuscating download links. All in all, Sitelok and Vibralogix hit a huge sweet spot for me personally, and I appreciate the thought and design philosophy the developer brings to the table. Pros: We have used Sitelok for over 10 years to provide secure access to our on-line pay-per-view dog show video streaming platform. Sitelok has been quite easy to adapt to numerous subscription and access issues. the owner has been extremely helpful to design easy-to-implement support modules, including Stripe and PayPal payments, Credits, messaging, marketing and other plugins. His code always works! He continues to provide enthusiastic and extremely helpful customer support, even when traveling or on vacation. We treasure Sitelok and Vibralogix, which has basically made our video platform work! 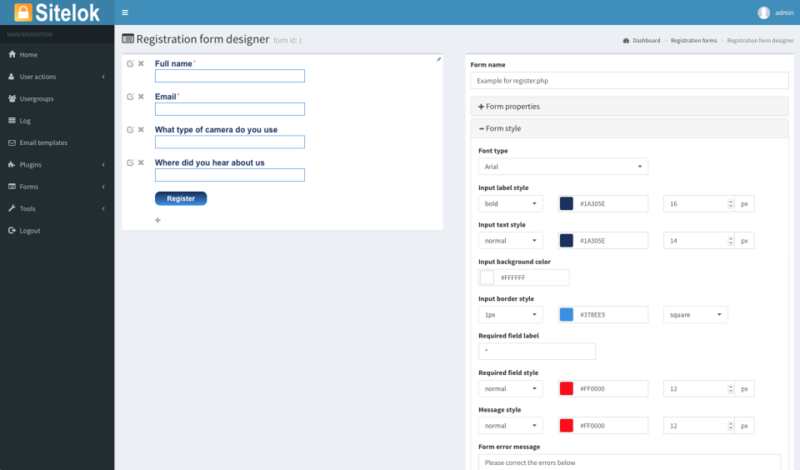 Cons: Not an enthusiastic fan of the forms editor, mainly because the customization we require is not readily available through this platform. It works great for the standard things, though. Overall: There are simply not enough superlatives to describe Sitelok and the support packages that Vibralogix has developed. Our on line video platform would have literally cost 100s of thousands of dollars to develop on contract. Sitelok and the support plugins had us up and running with a few hundred dollars investment. The software is easy to understand, and likewise straightforward to implement. We have profited mightily in our business thanks to Sitelok for this work! Pros: Sitelok is a great low cost way to secure your website and allow for different levels of access for your project. I currently use SiteLok on several projects, and its great for things like a members only site, and allowing certain groups of users to have access to certain sections. There are several plugins available, and very helpful, such as the password requirement plugins (you set rules asto what a password has to consist of) which I highly recommend. Setup is a breeze, low php 5 requirement and a database. No reason to build your own access management software when Sitelok is available. Cons: The support is good, I have emailed a few times but I wished there was a up to date video on several aspects of sitelok, such as using with development tools. Upgrading it also very easy but I do wish there was a more direct aspect, such as in other software where you can put in your access code and it would download and install the latest version. I know this would be complex but would be a great feature. Pros: Sitelok from Vibralogix Ltd is pretty easy to use if you take the time to read the manual and watch the videos. However, if you aren't used to this sort of application or find it hard to follow along then the support offered is key, and this is what prompted me to write this review. CSR of Vibralogix provides absolutely first class support: responsive, helpful, knowledgeable and reassuring! Cons: The one thing that I would like to have found, and which might help save CSR a lot of support time dealing with people like me in the future, was an up-to-date and comprehensive video from Vibralogix explaining exactly how Sitelok worked with the Sitelok Stacks in Rapidweaver. There are a number of overview videos out there from JW, but understandably they tend to cover the Stacks end of things and rather skate over the Sitelok Console functionality and integration. Overall: That said, the Sitelok app will provide my client with a secure distributors area on their website for a fraction of the price they were expecting to have to pay for a bespoke solution. With CSR's's help I have been able to show them quickly how they can use Sitelok to lock down sensitive information for distributors in different user groups and give them access to data, price lists and downloads etc according to their security clearance. I haven't even told them about all the other functionality yet (I haven't got that far, myself! ), but thanks to the support I have received so far, I already have a happy client. And so does Vibralogix. Thank you . Pros: It is reliable and allowed me to create my site around Sitelok, knowing it keeps my site and files secure, and makes it easy for users and myself to manage. Its plugins are incredibly useful. Above all else, the customer service is the best I've experienced for any software, or any company, for that matter. Cons: There are no magic pills, so you have to get to know the software, read the manual where needed, and ask questions if required, but otherwise I can't think of anything I don't like about it. Overall: I used to have a site where users logged in to get access to special interactive services, but it required a great deal of manual labor to keep it up and make it work, and if I was out of town, could not be managed promptly. With Sitelok, I've been able to tailor my new site around Sitelok's services, allowing me to automate user service and provide unique and easy-to-use interactions for users, with the ability to easily help customers at home or remotely, and as I've mentioned above, the outstanding customer service has made sure that my site is always up and running -- and improving. I have nothing but great things to say about Sitelok. Sitelok - The best software decision I ever made! 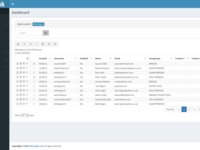 Pros: Sitelok does exactly what I was looking for - handle all the user-registration and page-access stuff, but without all the restrictive bloat of every CMS I looked at. We wanted to build our website without the format restrictions of the traditional CMS,but needed a solid, secure access-control core. Sitelok delivers that with lots of useful extras,either built-in or in the form of plug-ins. Support was,from the start, excellent. For our own reasons, our website revamp took well over a year, but the support was always there top-notch. The fact that Sitelok is NOT a Joomla / Wordpress / Drupal,means it's not a target for hackers - an important consideration these days. Cons: There is no large user-base to share experiences - Support from Vibralogix more than makes up for that though. Overall: Our new website had all sorts of teething problems, but NONE of them were anything to do with Sitelok, which performed flawlessly right from the start. I chose various other elements to use in our website (chatroom,blog etc), but Sitelok is the only one I would still choose if I was to start again today. Six months on, I'm still finding useful little features - or ways to use the options on-offer. As a self-taught PHP coder who knows his limitations, Sitelok is pitched just right; not requiring skills I don't possess, but having all the features I need. Pros: Very simple to implement... but as you become more familiar with it you can really offer some neat tie-ins with your site's other functionality. Absolutely mandatory for all sites I do. Cons: Nothing, really. I started with Sitelok a long time ago, and it was easy for a noob to use yet has remained indispensable since. Overall: My immediate need was for securing a wide range of project management and CMS sub-sites on a single domain. Sitelok was great for that, and I was immediately happy. I had a couple of questions, and rep responded immediately. After using Sitelok on the first site, I began to see more options. It is extensible and easy to understand, and I began incorporating it into a number of my sites at install... It is self-contained and clean, so adding features to it was easy. I now have it on 10? sites, and I recently purchased the newest version just so I could see what has been added. The plug-ins look especially useful. This review is based on something like 10 years of use. Pros: Very well documented. Easy to use and very flexible. I have been a happy user of Linklok URL, Sitelok and Linklok Paypal since 2006. I have used many other scripts and carts over the years but none of the others have been as rock solid or as easy to customize. Awesome support too! Cons: Can't really think of any cons. Instant delivery, robust, fast support. Overall: Easy integration and it does not hinder customization of your site like other systems. If you have a custom PHP site and want to quickly add a membership system to it, Sitelok will not disappoint. The pricing is more than fair and the 50% off for new versions is one heck of a deal. I can't say enough good things about the support. They know what they are doing, they are fast and friendly. Best support I've ever had the pleasure of working with. You won't find a better value. You get so much for your money. I don't gush over a product or company unless they are truly a gem. Pros: Literally, there are scripts for most of the stuff. Login and user access is complicated and reinventing whell doesn't make sense. That's the place where sitelok shows it's power. Just drop in the script and it takes care of everything. There are many plugins available which is good as you can use any you want with minimal size increase on client side. Cons: Definitely very less community support. Looking for answers on google doesn't help much. Overall: Sitelok is great at what it does without any question. I moved to it as recommended by friend because of struggle in managing user tokes for credentials. There are other products supported by this company as well. Such as one issue was if we integrate third party api such as paypal, it goes into it's on website in popup form but with scripts you can disable that and provide more seamless integration like it's part of your site. Pros: Very easy to use, instructional manual is very detailed, the support is a 5 star, they even help you with extra coding to adapt the code to your own app must companies charge extra for that so is a big bonus, upgrades constantly. Cons: There is not much to say here you won't find a solution with everything you want , so all you got to do is buy the closes in my case this was. Nothing to regret so far. Overall: I been using sitelok for about 5 years now adapted in panels and dashboards to manage content views and secure pages for different users and groups, the code is very simple and has a lot a of features to select from users to groups, etc., the ability to interact between users by messaging private, public or groups. Has a lot of plugins very usefully to any web designer. Best solution I bought so far. Pros: Ease of use and quick to set up. Lots of good plugins available to extend in various directions. Simplicity of general use, our team picked up the admin side very quickly and with little training required. Great value considering the flexibility. Cons: Very few. If I had one tiny request for increase in value for us specifically it would be to have a little more data kept within the system - as one might see in a conventional relational style database (keeping multi year data against core profile). For example a history of subscriptions (payment system assists but would prefer that inside). Ability to customise is good but there are some limits, all fair considering the value for money. Overall: Excellent, we are already reviewing how to better leverage what we have. It has made managing our growing membership much easier and has integrated with our front end UI efficiently. Pros: It is easy to install; easy to upgrade and easy to integrate into PHP applications. I can choose to have all users go to one particular link after login or configure certain individual logins go to other links. Likewise, on logout I send people to a common link or a custom link. I have to also say that support has been superior. I always get my questions answered and in some cases, he has provided free upgrades for my clients in order to resolve issues. Cons: I haven't run into any issues I don't like. Overall: I develop web-based business applications and it is essential to have a secure interface. Having written my own in past, it was a relief to discover SiteLok... now I can focus on the application and leave login security to SiteLok. Pros: It is easy to navigate, has an easy-to-view layout and you don't need to be an expert web-builder to implement it into your site! Cons: Some of the button icons are plain and easy to install, but updates do not include some of the buttons. Overall: I have been using Sitelok for several years. I wanted the option to lock out some parts of my website for subscribers only, and was getting nowhere fast until I found this. Many developers wanted hundreds and even thousands of dollars to give me these functions. Sitelok/Vibralogix does it for a bare minimum whilst not skipping on professionalism. (Seriously, they should be or could be, charging a whole lot more!) I have been extremely happy with both the software and the customer service and will continue to use Sitelok for as long as it's around! Every feature we needed and more. Superb back-up service and help from vendor. Cons: There was little to not like. In fact I can't think of anything. Overall: We wanted a membership system for our sales of specialised digital camera cleaning products and came across Vibralogix and their product Sitelok was just the solution we were looking for. It had every feature we could want and then some more that proved invaluable. We had quick and professional assistance with intergration, including additional code to meet a specific situation. Although we have recently closed down operation after 37 years, the approximately 10 years of using Sitelok greatly enhanced our customers experience. Pros: the developer, is very responsive to my questions and needs for the educational conferences I organize. Cons: Wish it were more of a CMS in which a logged in admin user could update page content via a WYSIWYG editor, similar to the WYSIWYG editor for email templates. Overall: I have organized and managed more than 25 educational conferences in Washington, Oregon, British Columbia the last 12 years chairing more than half of them. I've experimented with many different software packages to use with Rapidweaver. After 9 years I settled on Sitelok as it served the purpose for so many tasks (registrations, proposal and grant submissions, etc.) the developer, is very responsive to needs. Pros: We have been using Sitelok for 10 years now, for a number of different websites. Besides the variety of login options, the ability to protect pdfs using the random link option has been the most valuable to us. Cons: There's really no downside to our uses. Whenever I think I have a problem, customer support always helps me out. Overall: Being able to selectively register and login people: great. Being able to send them off to different areas based on their log in: great.Protecting our content: super great. Having secure and unsecure sections: awesome. We've put it on different websites for totally different reasons and it works perfectly. Pros: The support is fantastic and the software has made my website very secure and provided many functions that I would not have been able to create. My customers enjoy these features and it makes communications between us very easy. Cons: There is not enough of it. I am sure the people at Sitelok are working on exciting new functions. Overall: I needed to have some security on my website and Sitelok provided that solution. The conversation tools and security have helped me provide my customers with a secure area to pass files and communicate without the worry of being compromised. I'm using Sitelok since 2011 and I'n very satisfied. Pros: I use Sitelok and integrated it with RapidWeaver. Sitelok is really stable and the product support is stellar. With Sitelok I run a members area on a premium website and with the easy tu use admin dashboard, I can protect all my sites and my content perfectly. Cons: Nothing. And if I couldn't move forward with Sitelok, the support and the manual are very helpful. Overall: I can highly recommend Sitelok for every user. I will create a complete e-learning solution with RapidWeaver and it was crystal clear that I will protect my site with Sitelok. Pros: Sitelok has much more features than I will ever need, but it has all the things that I need. I value the ability to have differing permissions for different areas of our website very much indeed and this was an important selling point for me. Cons: The automatic password generation is much too weak for me, but the software allows much better passwords created elsewhere. The generated information graphs are not really much use to me, but others might find more use for them. Overall: Sitelok does exactly what I want, there is no higher praise. I found the support particularly friendly and useful, together with being astoundingly fast. Pros: We greatly appreciate (1) the way Sitelok works so dependably, (2) the skill level of the seller, (3) the continuous improvement of this product and (4) the unbelievably great customer support! Cons: For the satisfaction, price and the fantastic support - we cannot think of a "con" worth mentioning. Overall: Sitelok is by far the best membership software we have tried, for all the reason stated above. It does more, it functions better and can be easily adapted with custom code, whereas other products led us into serious limitations and bugs. Pros: Very easy to install and implement within an overall website development. The customer support has been extremely fast and effective. You have a sense that they genuinely care about the product and customers. Cons: Any limitations are due to my programming skills rather than what Sitelok can do. Overall: Integration of Sitelok has allowed secure frameworks for development, prototyping and release versions. The integration with PayPal has smoothed the way to effective subscription services. Pros: Unmatched support! Integration with PayPal! Best shopping cart! Cons: There are no negatives whatsoever! If there are, Support team responds immediately with a solution. Overall: I've been using Sitelok for over 7 years now and it's simply the best! Functionality, ease of use, and unmatched support by team. I've tried many prior to Sitelok and none of them come even close. Finally, integration with Linklok for PayPal and Vibracart is out of this world. Pros: Sitelok allows us to keep our course material available only to registered users. It functions seamlessly from sign-up through use. The administrator panel allows you to effortlessly monitor usage and make whatever changes you require. Cons: Can't find fault with this amazing software. Overall: We had a challenge to keep the url of our course material out of the public domain. Sitelok allows us to achieve that goal. Cons: the worst thing about it so far is having to fill out this cons section, not needed there are no cons about this software. Overall: Sitelok has solved 80% of my business needs right from the start by providing low cost software, and their customer service is off the charts. Its a no brainier get them. Cons: Nada. I love this software. I keep buying more licenses for various web apps. Overall: A dream come true for companies who don't want to waste time re-inventing the wheel and developing their own user management system. Pros: We can run and edit the software to fit our specific business needs. Cons: As at new startup, it was slightly difficult to get it installed, but tech support cleared that up in minutes. Overall: Sitelok has helped us start our business and grow our business and continues to provide exactly the functionality we need to sustain our platform. It's been an absolute amazing investment for the small amount of money required and the tech support from Vibrologix is beyond outstanding. I highly recommend this for any person looking to start and maintain their membership platform. Cons: I've not found any single aspect about the script which I don't like! Overall: Sitelok has been a great asset for my web applications including; Membership Websites, Online Radio Stations, Web Applications and more. The email function is worth the price paid for the whole script. The code is open and you can really customize the script to fit the look and feel of your project. Sitelok has given a great deal of scalability to my projects due to its great functionality and truly dedicated email customer support. I've been using Sitelok for over 5 year now with a complete satisfaction. Pros: It is very usable without needing programing knowledge, and with knowledge it opens doors to a lot of possibilities of integration. Cons: I haven't seen any yet after using it for about 5 years. Overall: I have been able to protect pages restricted to students only. It creates wonderful download links that doesn't show the real link of the files. Pros: The best feature is Adrian who has had the patience of a saint with me. I am customizing Sitelok for my site's particular needs and he has been fantastic. The install is easy and it has been solid as a rock. Cons: The one flaw is that you cannot customize the names of the columns in the database. Pros: Great instruction manual, allowed me to easily set up a membership site easily. Great support! Cons: I'm using the software on a basic level, and have not explored all aspects, but no complaints. Overall: I have been using the software for 4 years, and have not upgraded because my version is working perfectly. Pros: Does what it promises. Easy to set up and integrate into our website. Cons: We've not encountered any problems, it just works. Overall: We've been using Sitelok since 2011. During this time, it's performed flawlessly. It's totally reliable to the point that we just take it for granted. Pros: First of all, it does what it promises. Secondly, as an avid Rapidweaver user, I like the integration through the stacks of Workman. Cons: In my opinion, the software is very good, but increased CMS integration could be very useful. This is however not the job of Adrian. A major positive that needs to be mentioned is the help of Adrian, when needed. Fast and effective! Overall: I run an educational firm, which has different levels of information access (staff, webmaster, clients etc.) All the documentation and instruction material is available. In combination with an up- and download stack everybody can help keep our material up to date. Pros: Works well and have never had an issue once it is up an running. Pros: User access such as register, login, forgot password etc. everything controlled by sitelok even if you don't use PHP, it works in html pages as well. Control panel is great as you can see all users, force anyone to log out for security purpose, even send emails to any user and can use existing email templates. Cons: PHP seems old now so it's better if they support full packages in multiple other languages just to remove language barrier for those who are afraid to use PHP based scripts. Overall: Sitelok handles your user access while giving you full control. It's highly customizable and easy to use. Pros: This package is very reasonably priced with No on going fees and does everything I needed and more. Cons: It was no problem but had to change my website from HTML to PHP but just followed the explicit instructions and it was soon done. Overall: I needed a programme that would be compatible with Serif Webplus x8 when they discontinued their service. After searching the internet I cam across Sure lol and it appears just what I was looking for. After downloading the software and instructions I was at first thinking this is going to be difficult to set up but after following the instructions step by step it became easier to understand and soon I was up and running. Don't be put off by the very large instruction book just do the basics then you can add more features later. This software can do a lot more than I would ever use. Pros: Although formerly retired now, as well as a long term programmer in many languages, Sitelok seemed too simplistic initially thinking it to be securely weak and inferior to my own coding. For example I wrote PWPage in C for which I won an IBM prize through SourceForge. However, subsequent use proved to me that Sitelok is an easy to use tool with strong security and we'll worth considering for average website development. Cons: Given the ease of understanding, learning using, flexibility of design and great support, I'm hard put trying to come up with any negatives. Overall: It's not uncommon for a programmer to write excellent code and then for the customer to want what they consider a simple change. It's all to often for those simple changes to require a major rewrite. The inherent flexibility of Sitelok to allow major changes with far less effort than making simple changes to even an excellently written application can save the day many times. Pros: Powerful and flexible features to create registration pages and allow access to protected pages on your website. Once you spend a little time reading the documentation it is easy to copy snippets of PHP code and add them to your protected pages. Then there is an intuitive, easy-to-understand browser-based dashboard to manage your users. Also many plug-ins are available (several are free) that add additional functionality to the overall package. There is a sophisticated email system built-in complete with templates and auto-responders; very cool. Cons: There are some advanced functions that require use of APIs so if you are not technically inclined these can be intimidating. However, must of the functionality I needed did not require using these super-advanced features. Overall: Customer support via email is excellent. They even provided me with some customized code at no extra charge. Pros: Exceptionally easy site integration ... Full featured ... Regularly updated ... Easily customized ... Responsive Support. Cons: I really don't have any cons to share with you. Pros: It does what it says. It works properly without any issue so far. I have been using site lol for several websites. Cons: I found a little bit difficult at least for me the "email template". I asked support and immediately I was guided through. Overall: I am making a website and I need to categorize client by group enrolling to my program. Pros: Plugins for numerous different payment processors (e.g. Paypal, Stripe, 2chekcout, ...). Plugins for chat. Flat nature of code, no excessive framework to slow down processing. Good API to add functionality where needed. Exceptional customer service. Access to the base code to make modifications when needed. Cons: Code is a bit ad hoc and not as modular as it could be. Overall: Able to add authentication and chat to our cloud based application without building it ourselves or having to add a complex and slow framework. Pros: Very professional and efficient. Clear instruction book. Cons: Simply application. Very nice support. Very good desk interface. Pros: It is very easy to install and then easy to modify to different requirements and the administration console is clear and each step is made obvious. Cons: For the websites where I have installed Sitelok, it is difficult to think of a significant disadvantage. Overall: The latest version of Sitelok is truly excellent and my most recent use has been for an Intranet for a Charity to allow different levels of access to specific training programs and to allow both staff and trustees to have access to the documents that they need , when they need them. Cons: There really is nothing I can say bad about Sitelok. It keeps improving itself, I believe by the time passes more of it's functions can be controlled through the Sitelok panel, instead of writing code. Overall: After coming across Sitelok while searching for membership based options for my Web App, I was able to shape my whole App model around Sitelok's capabilities. I am not a professional Web Developer and the ease of use of Sitelok made it possible for me to stay independent for my project. But the best part is customer support, it is a rare treat to find. I was trying to implement a payment triggered membership system, and non of the available options like Stripe or Paypal is supported in my country. Sitelok has helped me on implementing a generic payment script for my choice of payment gateway. Pros: Sitelok is very powerful and helps to add a professional membership area to your website. Cons: Although it is installed very quick and easy, you´ll need some time to configure it like you want to have it. But i think that is quite normal for this extensive software. Overall: We are using it for newsletter subscriptions to comply German law (double-opt-in). And for a membership area for some customers. Pros: Sitelok allowed me to easily place an SQL database on my website and manage pages for members and others who pay for content. Not being well versed in doing something like this, their support was fast and extremely helpful. Cons: Any problems I encountered were the fault of my own limitations. Overall: I am using the program for a website with lessons, where different users need access to various classes. Once things are setup* with Vibralogix Sitelok I can focus on the content of the lessons and don't have to worry about letting "students" into the right classrooms. *I got stuck in the setup, because I didn't understand a setting, emailed my question and got a reply within a couple of hours. Pros: Easy to install and implement on website by following the instructions in the included manual. 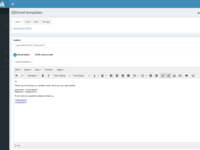 Easily integrated with websites built using Rapidweaver. Developer provides detailed instructions on how to implement this. Easily customised to suit specific needs with plenty of examples provided by Developer to get you started. Messaging plug-in a great addition. Feedback on support from Developer is very positive although have not had the need to use it yet. Cons: A bit of knowledge required to set up mysql database if you haven't done it before. Overall: Very positive experience so far. Provided a very affordable solution for a secure private membership website.